When a great bottle like this one turns up, it’s only right to crack it open, give it a taste and find someone to make a cocktail out of it… so that’s what we did. We couldn’t wait to try this one from The Boatyard Distillery. It’s called Double Gin because as the spirit runs of its still (called Doc Brown), they introduce a ‘juniper filtration’ process which the Dutch call ‘dubbel gebeide genever.’ This double contact means the juniper is even more pronounced. Located on the banks of Lough Erne, north west Ireland, Boatyard Gin proudly uses sweet gale, foraged from the family farm. 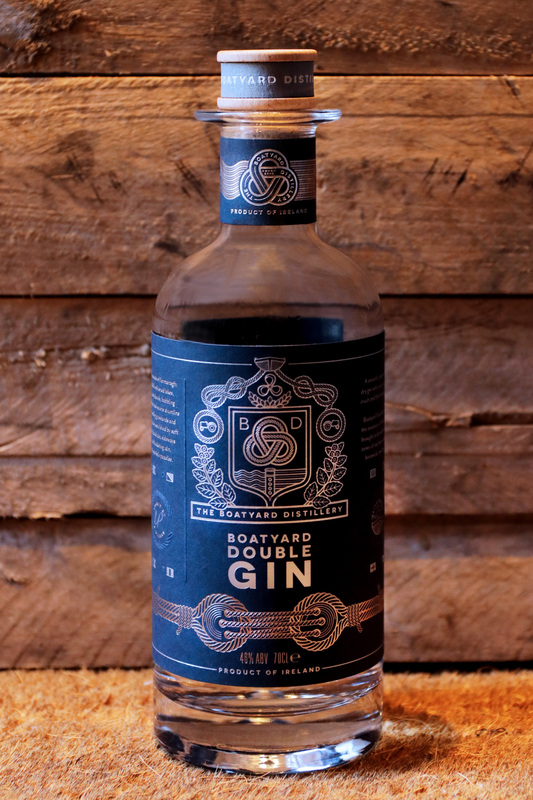 David and Felicity will be blind tasting Boatyard Double Gin in an upcoming issue… watch this space for their review. Nose: Bright and forward – many classic elements. Clear, unmistakable juniper which is underpinned by lemon peel. Palate: Opens much like the nose – juniper forward. A lovely, silky, coating mouthfeel. Becomes a touch herbal and green, with an earthy not coming to the fore. Finally opens up to a little dry citrus. Finish: Smooth but lingering. Citrus comes through a little more fresh than on the palate. Comments: A real classic gin. For cocktail enthusiasts this will surely give a world of options, while it would be worth a sip over lots of ice. Rinse a chilled martini glass with absinthe (an atomiser will help you reduce waste here, but is not essential), before shaking all other ingredients in a shaker and fine straining.